This Saturday, April 28, is National Sense of Smell Day. For decades, this national observation has been held on the last day of April. People from all over the nation post pictures with the hash-tag #SenseOfSmellDay on social media in celebration of this day. We at the Bagel Bakery have another suggestion for how to celebrate National Sense of Smell Day: Stop by and let your nostrils have a field day on all of the amazing smells that our shop has to offer! 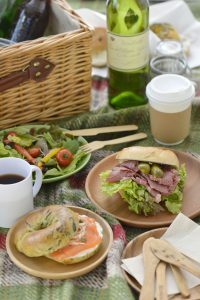 A freshly made bagel, a hot-pressed sandwich and steaming hot coffee will take your sense of smell on a wild adventure from the very second you open our door and until you leave. We often highlight the freshness of our products and the deliciousness of our food, but on National Sense of Smell day, we plan to celebrate the many smells that excite your senses when you visit our store! For us, National Sense of Smell Day is every day, so come by the Bagel Bakery today and give your sense of smell a treat while also treating your taste buds to a bagel or sandwich! Spring is here, which means the beginning of beautiful weather that is perfect for all of you and your family’s favorite outdoor activities. This is the perfect time to go on a nice long hike, or go kayaking, or go lie out on the beach all day. As fun as these activities can be, they all bring up a giant appetite in everyone. But fear not, because the bagel bakery has you covered. There are so many options for you to choose from in terms of on the go treats, that the real challenge will come from choosing your favorite. 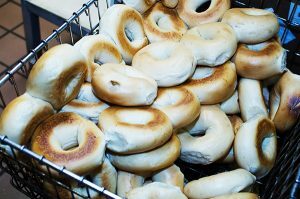 One option could be to buy a Bag O’ Bagels from the Bagel Bakery and stack your own favorite sandwich toppings between the bagel slices, package them and go! Another option is to order a few of our made-to-order sandwiches before your adventure and ask us to pack them really tight for you! 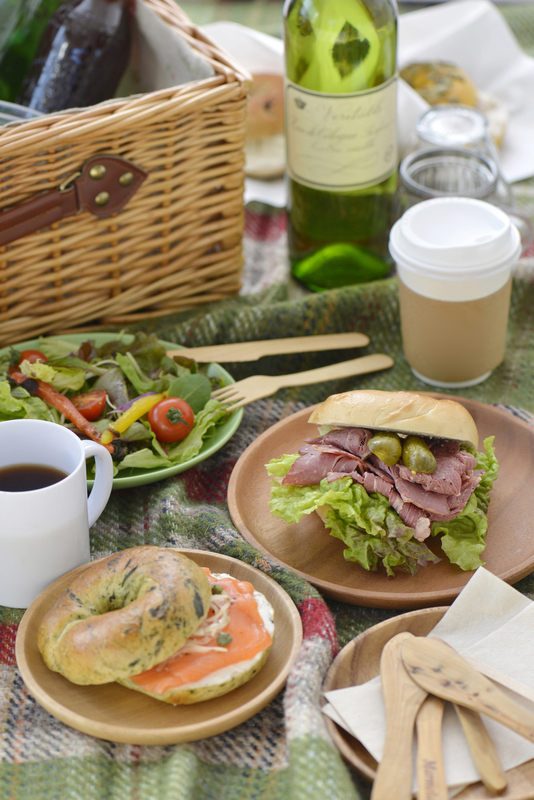 No matter what your idea of a perfect spring fun day treat is, the Bagel Bakery has exactly the refreshing, healthy and satisfying options you’re looking for. Be sure to stop by before your next journey and grab yourself some delicious Bagel Bakery fuel. We hope to see you soon and are so excited to hear about your plans for enjoying our Earth to the max! It’s time for another menu-item spotlight! We thought it would be fun to kick off the month of April by highlighting a customer favorite that is bursting with fresh flavors and is perfect for spring. This month’s featured item is colorful, flavorful, savory and sure to leave you wanting more! It’s the California Dreamin’ Wrap! 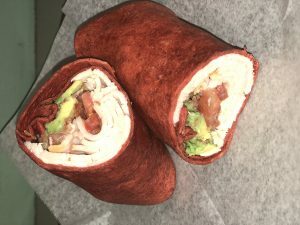 Our California Dreamin’ wrap, which features smoked turkey, avocado, bacon, mixed salt and red-wine vinegar all wrapped up in a tomato basil tortilla wrap, is fresh, flavorful and completely satisfying. Nothing can prepare you for summer time like a light, protein-rich and flavorful California Dreamin’ Wrap from the Bagel Bakery. For just $7.49, you have a deliciously fresh meal, great service from our employees, and an overall wholesome and happy experience. Nothing can beat that! Stop by the Bagel Bakery today and pick up a California Dreamin’ Wrap for you and your loved ones! 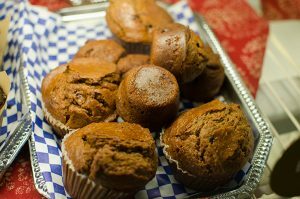 Of late, we’ve talked a lot about how delicious bagels are, and about the many things you can do to make them even better, but we haven’t talked in a while about what actually goes in to making your favorite breakfast or lunch treat! Yes, these steps may seem complicated and long. So, leave it to the experts at the Bagel Bakery, who make a living out of ensuring that you become an expert at step 10. Now that we have taken care of your curiosity about how your favorite treat is made, come to the Bagel Bakery and celebrate your newfound knowledge with us!